The controversy over outdoor cats and their predation impacts on wildlife is not new; it has waxed and waned for many decades and we believe it is high time for new approaches. Conflicts of this nature should not result in mass killing, but in the application of human ingenuity, and substantial investments in solutions that work in the best interests of all of the animals living in our communities. More than a century ago, Edward Howe Forbush, the Massachusetts State Ornithologist, demonized outdoor cats in a series of essays that culminated in his 1916 book, The Domestic Cat: bird killer, mouser, and destroyer of wildlife. In those days, birds were as much valued for economic reasons as for aesthetic ones. Forbush railed against the "wanton destruction" of the birds that helped farmers control insects or the game birds that gentlemen pursued on the hunt. But the respected ornithologist admitted that cats could not be blamed for exercising their feline nature, while noting that many of the claims on both sides of the issue seemed "ill-considered," and were being bandied about without much foundation in fact. Currently, the dispute over outdoor cats and their predatory behavior is garnering media headlines again because of a campaign by some in the conservation community who are pressing governmental agencies and other parties to take action and "do something" about it. That "something" is often glossed over or poorly articulated. However, it does not take any imagination to know that the agenda would involve killing tens of millions of outdoor cats, above and beyond the 1.4 million cats euthanized in shelters and animal control agencies each year across the country. Unfortunately, the contemporary successors to Mr. Forbush have discarded both his realism and his awareness that not all of the arguments marshalled against cats are well-founded or fair. The problem with these conservationists is not their strong desire to protect birds and other wildlife, a goal shared by The Humane Society of the United States, or their demand that society take heed of recent studies which are finally beginning to define the issue objectively. The problem is their naiveté about twenty-first century public policy formation and the feasibility and marketability of the harsh and extreme responses they champion. On both counts, this approach is a non-starter. The majority of Americans don't view cats as enemies of the state, and they wouldn't support mass killing even if the resources to do so could be found. The HSUS agrees with wildlife conservationists that owned cats can be kept happily indoors, and the humane movement has devoted significant resources over the past decade messaging to the public on this point. That's the reason that the percentage of indoor cats has risen from 52 percent to 64 percent over the past 15 years. We also agree that cats should be spayed and neutered, and our movement has invested millions of dollars in a constant and ongoing effort to promote, perform, fund, or facilitate such surgeries for both owned and unowned outdoor cats. Should anyone really believe that on top of these reasoned and compassionate efforts, we should be out there killing every cat in sight? No one can deny that the problems caused by outdoor cats are real and our shared goal is fewer cats outdoors. As part of a movement that has been strongly committed to cats and wildlife throughout its 150-year history in the United States, The HSUS is committed to the implementation of nonlethal and nonviolent solutions to the dilemmas associated with the presence of outdoor cats. 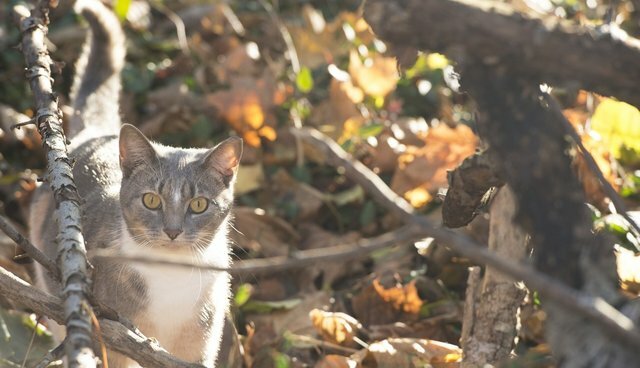 TNR and other humane strategies for outdoor cats represent a forward-thinking approach that is in tune with both ecological sensibility and the practical realities of outdoor cat management and reduction.